Black Ops 2: Official poster leaked? It seems as if retailers such as Gamestop have been receiving promotional goods for the upcoming Black Ops 2 game. 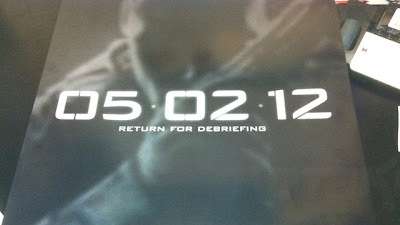 The latest "leak" is a promotional poster for the game, which has the date: 2nd of May 2012 written on it. My guess is that this is the date that the official Black Ops 2 trailer will be released. The Treyarch and Activision logos are both visible at the bottom of the poster.